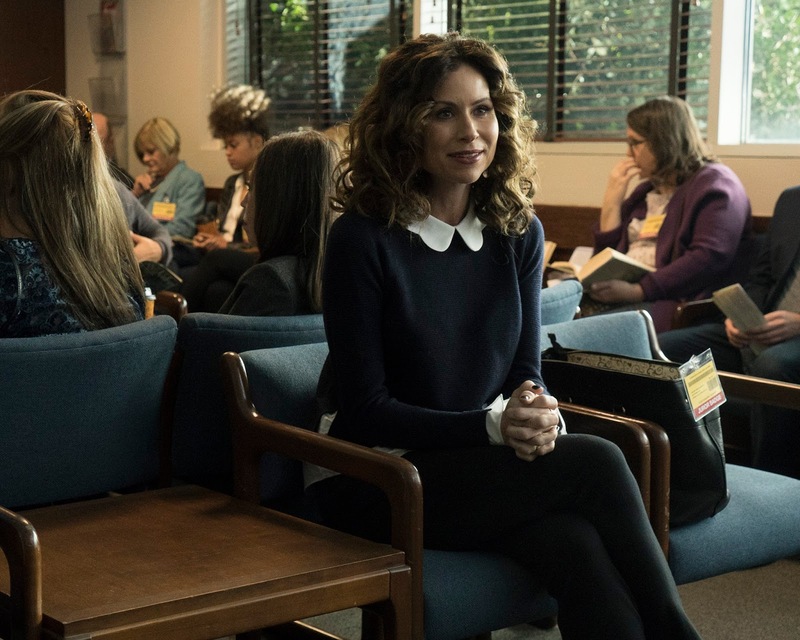 As ABC is in a rush to complete airing Speechless's second season in time for new comedy Alex Inc. to premiere, we got an hour of the show this week, before the season finale next week. The hour will cover Maya on jury duty, J.J. giving online dating a try, Ray trying to spend more time with Jimmy, J.J. directing a movie, Dylan discovering a family secret, and Jimmy making some suggestions for a construction project. Also, Sarah Chalke guest stars in the first half hour, which also includes a musical number. Maya gets jury duty, and she is very happy about it, as this allows her to escape all responsibilities. She sings a version of "I've Got a Golden Ticket," which I have mixed feelings about. It was an enjoyable performance, but it is random for the show, and doesn't really fit into its usually grounded tone. Her paradise is ruined, however, when Taylor's mom is there. Their conflict leads to some funny moments, like when they try to get the other one kicked out of the courtroom. They end up teaming up because of their common goal, and it's really funny as they stick to not guilty verdicts despite the fact that the person is obviously guilty. 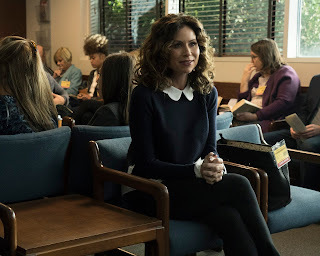 Maya ends up letting everything going on with her family follow her to jury duty, as she asks Taylor's mom to put in a good word for Ray. This leads to a funny scene where Maya presents her case for Taylor not being out of Ray's league to the other jurors, who take Maya's side. The ending here is really nice, as Ray may have a chance with Taylor, and Maya realizes that there is no vacation from her family. Kenneth helps J.J. set up an online dating profile. However, J.J. runs into a dilemma. When he posts pictures that include his wheelchair, the women that he finds are interested in him for the wrong reasons. These bad dates are very funny. So, J.J. crops the wheelchair out, but the girl that he meets ends up feeling like he lied to her when she discovers his disability. This was an interesting story about a complicated dilemma for J.J, and I wish there had been a better resolution. Now that Ray isn't in a relationship with Taylor, he decides to dedicate more time to family. He tries to spend more time with Jimmy, but he is always spending time with Dylan. There are some funny moments in Ray's attempts to spend time with Jimmy, such as when he tries to have the two steam together, which is funny in how creepy it is. In the end, it turns out that Jimmy and Dylan were working on a car for Ray, which is sweet. There's also a really funny moment when Dylan pretends to throw the keys when Ray annoys her, and then shows Jimmy that she didn't actually throw them. The episode begins with a really funny scene where the landlord arrives, and the DiMeos worry about lease violations. They have hilariously covered up a lot of issues, but they almost overlooked one big violation: the dog. The family tries to get the dog into a room, which is hilariously a real challenge. It turns out that their attempts were unnecessary, which is a funny twist, and then there's a funny reveal that the dog somehow swapped spots with Dylan. J.J. is chosen to direct his film, and the scene where this is announced is very funny, as the teacher's prepared video has some lines that end up being quite insensitive due to J.J's cerebral palsy. J.J. struggles with everyone's high expectations, and he takes everyone's bad suggestions. The result of these suggestions is terrible, and it's really funny, which is made even funnier with Kenneth's reactions. J.J. reveals that he does better when he feels like he has to prove himself, so Kenneth and Ray express doubt in his ability to direct a film. The film ends up being great, and the teacher's reaction to it is very funny. When she has to do a project for school, Dylan starts asking questions about the family. She discovers that Maya doesn't talk to her father, and she discovers a video with Maya in a wedding dress, but not getting married to Jimmy. It's hilarious as Dylan tries to figure out what the video is about, and Maya keeps stopping her from finding anything out. In the end, Maya tells the family that she never had a good relationship with her father, and the video was from his wedding, where Maya lashed out by wearing a wedding dress and destroying things. It was interesting to learn more about Maya and her background. When Maya sends Jimmy over to the neighbor's to say something about the loud construction going on, Jimmy ends up bonding with the neighbor, and sharing some architectural ideas. Jimmy's great time ends up getting interrupted though, when Maya decides it's time for her to yell at the neighbor. Jimmy and Maya talk, and she ends up encouraging him when she discovers how much he is enjoying being an architect. However, an even bigger problem arises when the neighbor wants to buy the DiMeos' property, and they are able to when the landlord discovers that they have a dog. All of the stories in "ONE A-N-ANGRY M-MAYA" were enjoyable, though I thought that J.J's didn't have that much of a resolution. The stories in "A-C-ACTION" were even better, and it presented a great problem for the family to deal with in next week's season finale. What did you think of "ONE A-N-ANGRY M-MAYA" and "A-C-ACTION"? Leave your thoughts in the comments!